The American College of Greece, Information Resources Management department is providing Microsoft Office 365 Pro Plus to all registered students at no cost via the Microsoft Student Advantage program. This agreement between ACG and Microsoft allows us to provide current students with the latest version of full Office at school and at home. The license to use the software is provided and validated to all students through the college email system (@acg.edu). For more information, installation instructions and frequently asked questions, please refer to the attached manuals or contact ACG Helpdesk. Microsoft Skype for Business: Skype for Business is a hosted service that lets you connect with others through instant messaging (IM), video calls, and online meetings. Real-time presence information—including photos, availability status, and location—and enhanced instant messaging (IM) to connect efficiently and effectively. Voice calls through your computer to other Lync or Skype users in your organization or in other organizations that use Lync or Skype. Creation, moderation, and joining pre-planned and on-the-fly audio, video, and web meetings with people inside and outside your organization. Enhanced online presentations with screen-sharing and virtual whiteboards. OneDrive for Business: OneDrive for Business is a personal library intended for storing and organizing your work documents. Included as part of Office 365, OneDrive for Business makes the power of online file storage and collaboration work for your business. OneDrive for Business offers you the following capabilities. Store up to 1 TB of data in the cloud. 10 GB maximum file size. For more information you may refer to the following user manual. The College’s Microsoft campus agreement requires that the e-academy Electronic License Management System (ELMS) is made available to all faculty and students of the ACG community. ELMS is a web-based management system which easily enables you to download Microsoft software and use it for educational purposes. 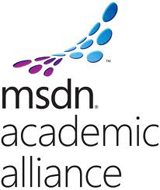 The use of ELMS for the management and distribution of software in the Academic Alliance Program is made available by Microsoft and e-academy (Microsoft partner) as a student benefit, free of charge. Faculty and students may use the software that is provided through ELMS for non-commercial purposes including instructional use, research and/or design, development and testing of projects for class assignments, tests or personal projects. Program software may not be used for any for-profit software development. 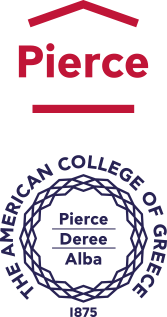 Via their @acg.edu account faculty and active students receive the necessary links and credentials to login and use the service. Login credentials are updated every semester. A: You must login before you are able to download. Once logged in, you may select the product that you want to download from the products page. Click on the Add To Cart button to begin the ordering process. At the end of your order, click on the “download” link and you will be taken to the download page – click on the button to download and install your software. If you have further questions, please contact the Program Administrator of the school. Your Program Administrator’s contact email information can be found in the support page. A: The list of available software titles can be obtained by visiting the software link. Most Microsoft software titles (with a few exceptions like MS Office and Business Software) are available. It is at the discretion of Microsoft to add or remove software titles from this list. A: Yes, as long as you are the owner of both computers and both are being used for instructional purposes. NOTE: If you require another key for a product you must contact the PA (program administrator) of the school. Your PA’s contact email information can be found in the support page. Click on the Support button above. Also, friends, family and colleagues not currently enrolled in a course that is part of an MSDNAA department are not allowed to access or use the software available from this website. A: No – the key allows you to install the software once. If you need to re-install the software, you will need to contact the PA (Program Administrator) of the school. Your PA’s contact email information can be found in the support page. A: e-Academy accounts are for active students only. The list of active student accounts will be checked and renewed at the beginning of every semester. If you experience login problem please contact your PA administrator. A: ISO images are images of a disk containing all files as well as boot files necessary for automatically launching the installation wizard. These files need to be burned to a disk specifically as an image, instead of a ‘data’ disk, which will extract the ISO into the required setup files. By burning the file to a disk as a data disk, you will simply end up with an ISO file on the disk, which cannot be used for the installation. A free disk burning program, [email protected] ISO Burner, is available by www.NTFS.com that will allow you to burn ISO or disk images to a disk. Click Here to download [email protected] ISO Burner. Click Here for instructions on how to use the software.